Why Go into a Cloud Migration Blind? Reach your business goals faster with end-to-end Enterprise Cloud Consulting Services. Data-driven Cloud consulting services to navigate you through every stage of your Cloud adoption lifecycle. Cloud Spectator’s Cloud Acceleration Framework provides the structure and roadmap for quickly developing an actionable Cloud computing strategy, along with an executable roadmap that will help you realize the goals and objectives identified in your Cloud strategy, as well as the business and IT benefits identified in the Cloud strategy. Cloud Spectator’s Cloud Architecture and Technology approach leverages a Cloud Reference Model and Reference Architecture framework to establish the technical foundation for your target state Cloud computing design. Cloud Spectator’s Cloud Native Architecture Framework provides the technology foundation for Cloud computing, Cloud Native Development, Containers and Microservices/APIs, as well as incorporating Mobile, Social and other SMAC-centric technologies. Cloud Native Development is the future for application design, development and delivery for the foreseeable future. Cloud Spectator can help your organization make the leap to Cloud Native Development. Cloud Spectator’s Portfolio Migration and Modernization methodology is based on years of experience with managing and rationalizing legacy portfolios in Commercial and Public sector organizations. This methodology takes a pragmatic approach to your legacy portfolio and recognizes the inherent risks and costs of rationalization to your legacy portfolio, while also recognizing the opportunity that the Cloud offers to drive costs out of the portfolio. Once the Cloud strategy and planning is done, and the architecture and technology decisions have been made, you have to implement your Cloud capabilities and operationalize them. Cloud Spectator’s Cloud Deployment and Implementation Services will help you implement your Cloud capabilities and achieve the results you seek. If you are implementing a private Cloud on premises, Cloud Spectator has hands on experience with private Cloud enablement capabilities such as VMware, OpenStack and others. If you are exploring a hybrid multi-Cloud environment, or a brokered Cloud approach, Cloud Spectator can help select and implement the Cloud portal and brokering capabilities, and onboard your private cloud and public cloud services into an aggregated catalog. If you are looking solely at public Cloud services, Cloud Spectator has data on all global Cloud Service Providers to help select your providers and their respective services. The end outcome of this phase is the implementation of your desired Cloud environment such that you can migrate legacy applications into the Cloud, and you can begin building new applications using Cloud Native principles. Cloud computing can be a challenging initiative, and it requires you to organizationally align to best realize your Cloud goals. Cloud Spectator provides support to help establish an optimal organizational design for Cloud computing, including the Cloud Project Managment Office or Cloud Management Office. In addition, you must ensure you have the right people in the proper roles, and that the Cloud resources have the necessary skills and training to support your Cloud efforts. Cloud Spectator can provide the Cloud training and coaching to ensure your team will be successful. Change management is an overlooked area in the Cloud computing adoption lifecycle, but not in Cloud Spectator’s view. Cloud change management support involves smoothing the transition from your As-Is state to your target state Cloud, and making sure the organization, personnel and support resources are aligned to the Cloud strategy. Cloud Optimization provides the data-driven approach to help you optimize your end-to-end Cloud operating model, from end-user demand for Cloud services, to the brokering/provisioning of those services, as well as managing the provider relationship to provide a smooth, seamless experience to your business partners. Cloud optimization services, in Cloud Spectator’s view, require a data-driven approach that Cloud Spectator was founded upon – using our performance analytics and benchmarking data to help you optimize your Cloud. Cloud adoption is accelerating, and the rapid rise of Cloud computing can put a strain on IT governance, security and oversight processes as they adapt to deal with new technologies, services, and managing costs. Adding to the challenge is the lack of transparency in both public and internal private Cloud costs and performance data. All Cloud providers price their services differently, so the first challenge is understanding the pricing model. Second, the sizing and functionality of various Cloud services are not equivalent, so comparing pricing and performance is difficult. Furthermore, pricing plans for individual services change frequently, and thus it becomes almost a fulltime process to continuously monitor and track service pricing changes. This comparative data is not widely available, and Cloud providers are able to exploit the lack of transparency to their advantage. When purchasing cloud services, customers should evaluate offerings on both pricing and performance to determine a cloud product that best meets their needs. By benchmarking your existing private Cloud services against public Cloud services you can objectively determine the competitiveness of your current offerings. Price-Performance benchmarking your public Cloud providers helps identify the value of each offering, thereby increasing competition and provides tools to negotiate discounts. Increase cost transparency with an “Apples to Apples” comparison. Rightsize your existing infrastructure to the appropriate public Cloud VM to minimize Cloud spend. Performance matters when evaluating the public cloud. It is important because some provider VMs can achieve the same performance levels with fewer resources and this can have a substantial impact on cost. 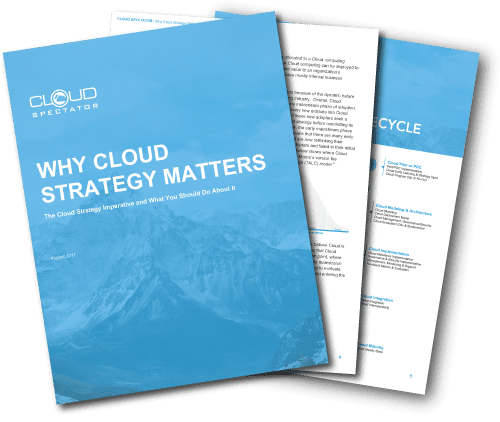 Discover your Cloud archetype and plan a Cloud strategy that prepares you for the next stage in your Cloud journey. Cloud Spectator’s industry-leading benchmarking and migration consultants provide support with: Cloud Migration Strategy, Cloud Readiness Assessments, Cloud Vendor Matching and Benchmarking, and Migration Execution.